Our range of products include marble mortar and pestle, marble pestle and mortar, pm-139 marble mortar and pestle, pm-142 marble mortar and pestle, soapstone mortar and pestle and soapstone pestle and mortar. 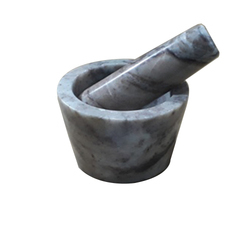 To meet the ever changing demands of the clients, we are engaged in offering stylish Marble Mortar And Pestle. 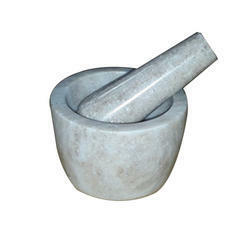 This mortar & pestle are generally used in the kitchen of homes and hotels for crushing the whole spices. 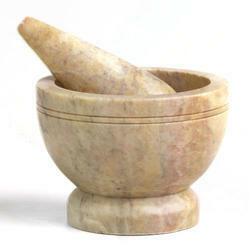 At our premises, this mortar & pestle is designed with utmost care from qualitative marble and cutting edge technology. To meet the different choices of our valued clients, we provide this mortar & pestle in several sizes and at most nominal rates. Facilitated by an advanced and well developed manufacturing unit, we have come out with a unique collection of Marble Pestle and Mortar. 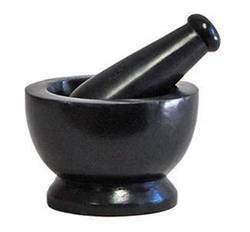 Apt for crushing whole spices, this mortar & pestle is commonly used in the kitchens of homes and hotels. 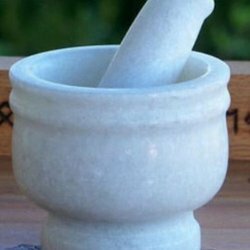 This mortar & pestle is designed in accordance with industry set standards under the fruitful direction of our skilled professionals. 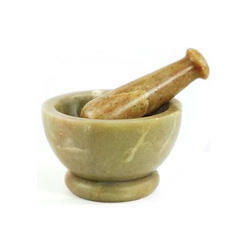 In additionally, we provide this mortar & pestle in various sizes within promised time frame. In order to uplift our reputation among the clients across the country, we are devoted towards offering Marble Pestle and Mortar. 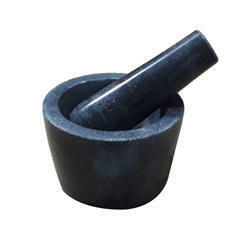 Precisely designed, this mortar & pestle is extensively used in the kitchens of hotels and homes. We design this mortar & pestle with the aid of optimum quality marble that we sourced from the reliable vendors of the market and sophisticated technology. 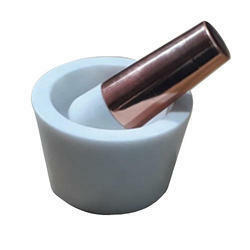 Also, we provide this mortar & pestle in safe packaging material. 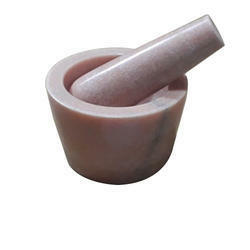 Soapstone Mortar and Pestle offered comes in smooth construction finish in different marble color choices to pick from. Providing for superior usage in kitchen areas for crushing & grinding of different food spices, the product supports adding a rich finish feel to the area. Some of its features include ethnic patterns that make overall presentation all the more beautiful; exclusive finish standards; durable construction finish; available in intricate designs; expertise in making these available in customized finishes. 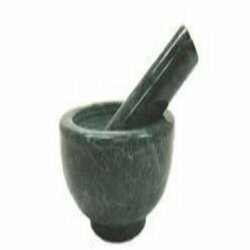 Soapstone Pestle and Mortar offered come in smooth shiny construction finish and provides suitable grinding and crushing support in the kitchen areas. The smooth polished finish of the product and options of different color marble stones also make these match up with the demands of customers. Some of its features include smooth shiny finish; enhancing overall finish appeal; smooth polished overall presentation. 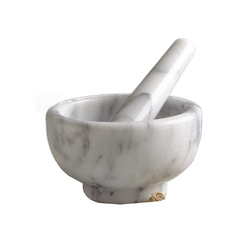 Looking for Marble Pestle And Mortar ?